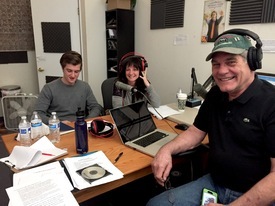 From left to right, Alexander Olesen, Amy Lieser and Michael McBlair. To Your Health hosts M.C. Blair and Amy Leiser talk to Alexander Olesen from UVA about hydroponic systems for home use.